The new SpyCurve Add-On for Grapheme (and Nexus) is available for download for all our users (*). 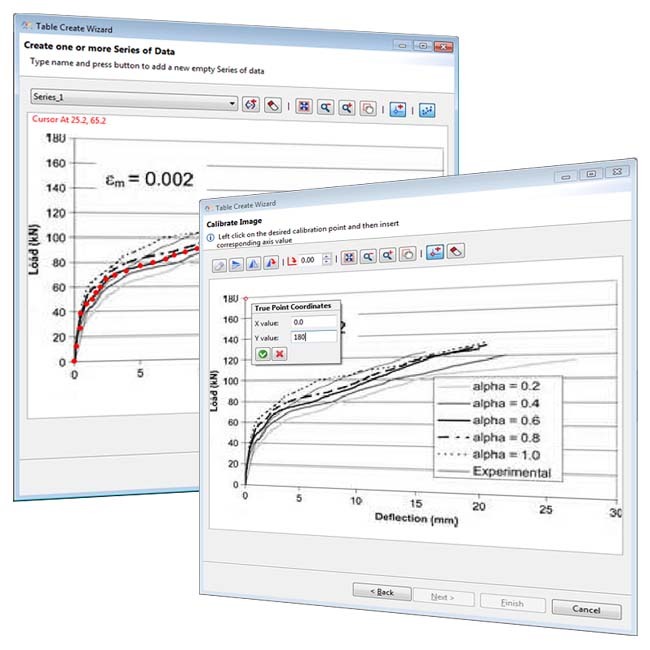 SpyCurve has been designed to easy digitize curves, i.e. extracting point coordinates from charts available as image files and save them in tables or export raw data on files. A wizard will guide you to properly center and orient the source image and to calibrate axis ranges. Hence you will be able to automatically create extract series of data based on curve color and markers and to import them within Grapheme for later usage. You can find more about Grapheme and get your 15 days free demo license here. (*) Addons can be installed and update to the latest released version at any time via the Help⇒Install New Software and Help⇒Check For Updates main menu.